I first tried all the usual fixes, like deleting all the Finder plist files in ~/Library/Preferences/ and running First Aid in Disk Utility. On a hunch that Dropbox was somehow involved, I had even tried revoking its Accessibility access, and although that seemed to help for a while, the frequent beachballs returned. The main thing I had left to try was a clean install, but since I had done one of those when I installed macOS 10.12 Sierra, doing another so soon seemed excessive. 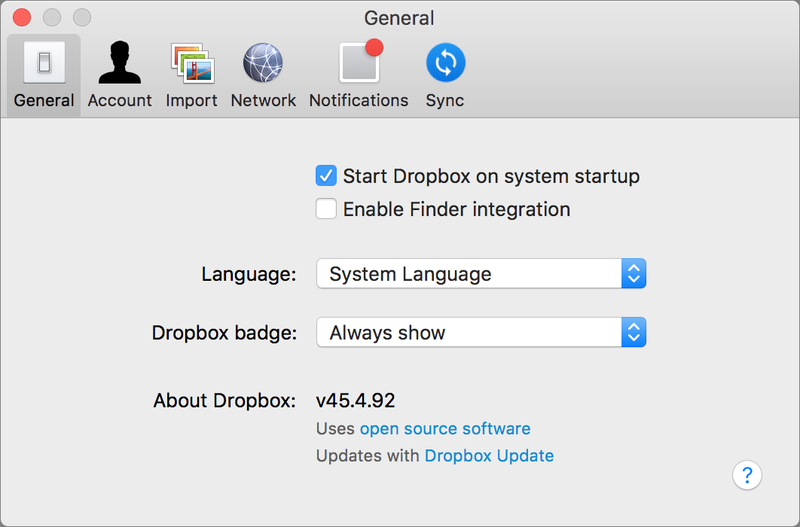 The downside to disabling Dropbox’s Finder integration is that doing so eliminates the sync icons in the Finder for files and folders synced with Dropbox, along with the special Dropbox options in the Finder’s contextual menu. I wasn’t thrilled about losing those capabilities, so I kept searching. Eventually, I found some hints that a folder containing a very large number of files could cause Dropbox, and thus the Finder, to choke. It doesn’t make sense that this could be true of folders outside the Dropbox folder, but after I cleaned much of the junk out of my Downloads folder — it had over 1500 items in it and consumed over 26 GB — I was able to re-enable Dropbox’s Finder integration without bringing back the beachballs or freezes. However, I have some folders that are legitimately large and not just full of junk. After re-enabling Dropbox’s Finder integration, a week of solid performance was ended when the Finder choked while browsing one of these folders, which has some 8800 items in it. I turned off Finder integration again and relaunched the Finder, and I haven’t seen any problems in a week since. I hope the solution sticks this time. So if you’re suffering from Finder problems along these lines, it’s worth toggling Dropbox’s Finder integration and taking a few minutes to clean out unnecessarily overstuffed folders. You probably have an idea of which folders contain vast numbers of files, but if not, DaisyDisk is a handy tool to find them. For free options, you could turn to OmniDiskSweeper or the open-source GrandPerspective. If you’ve experienced similar performance issues while using Dropbox, let me know in the comments. I don’t know if the problem lies with the Dropbox app, with the Finder, or with some combination of the two in particular circumstances, but I’d like to try to help the relevant engineers get to the bottom of it.